This is Richard Riquelme signing in from La Paz Bolivia. Today we enjoy a great deal of cultural bath of Bolivia's more iconic archeological sites, Tiwanaku an UNESCO World Heritage Site located western Bolivia. 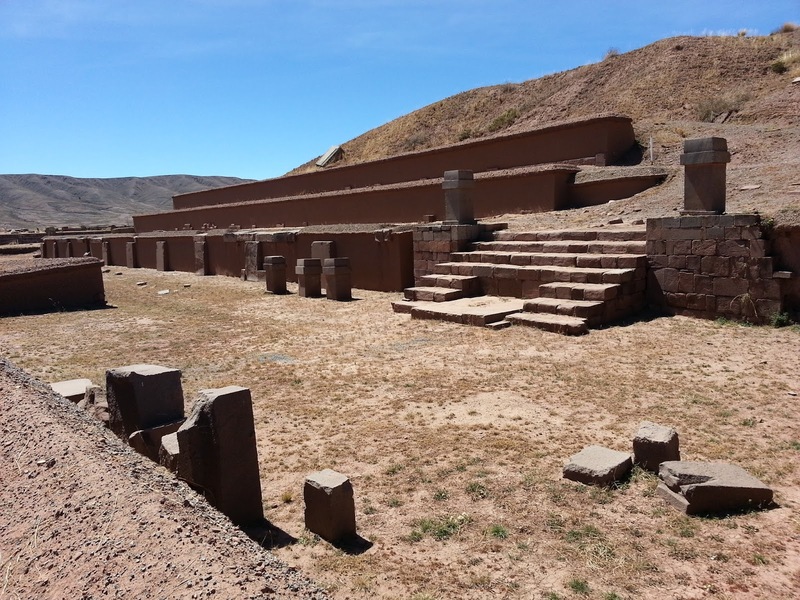 We enjoyed a cool but sunny day at Tiwanaku (3,870m / 12,697ft) after couple days of clouds on the trek. We experienced the whole tour around the world-renowned political and spiritual structures of this ancient culture. 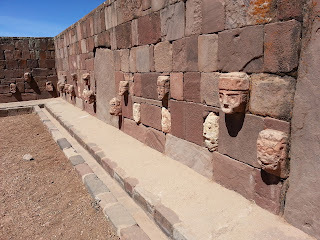 The areas of Akapana, Akapana East, and the Puma Punku with thier stepped platforms, as well as the Kalasasaya, the Kheri Kala, and Putuni enclosures, and the semi-subterranean temple are open to public access and visitors. The Gate of the Sun. Erin-Leigh Hardy. The stepped platform of the Akapana pyramid. Richard Riquelme. The carved faces of ancient peoples in the Semi-Subterranean Temple. Richard Riquelme. 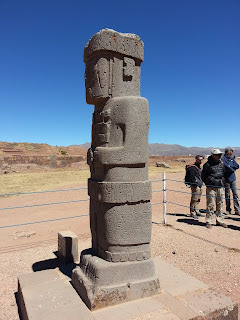 We looked into the enclosed museum and learn a great deal about the megalithic statues and the iconography with which the megalithic statues are adorned with. We also learn the pre-Columbian history of this people and observe with great amazement the extraordinary stone masonry and metallurgical skills, as well as the great ingenuity of managing pilgrims at the time of festivities and religious rituals. One ceremonial tool was demonstrated by our bilingual guide when she spoke thru a grey andesite block of stone that acts as a P.A. megaphone - amplifying her voice at least 3-4 times louder. 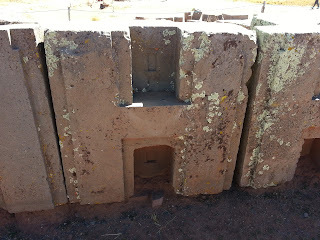 The stone sculpture was a block with a special hole shape in it. The ancient megaphone at the entrance of the Tiwanaku Archaeological site. Erin-Leigh Hardy. 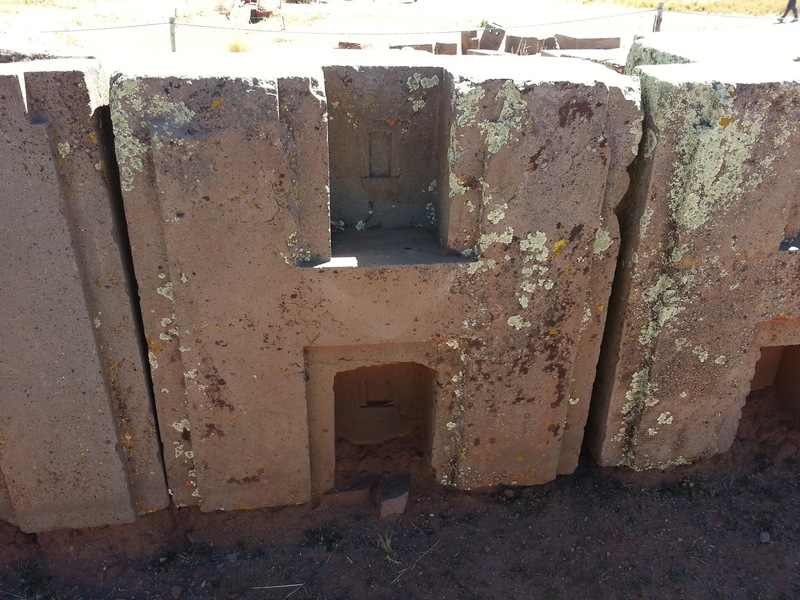 One of the massive stone blocks found at Puma Punku, depicting the amazing recision and complexity of the structures found at the site. Richard Riquelme. 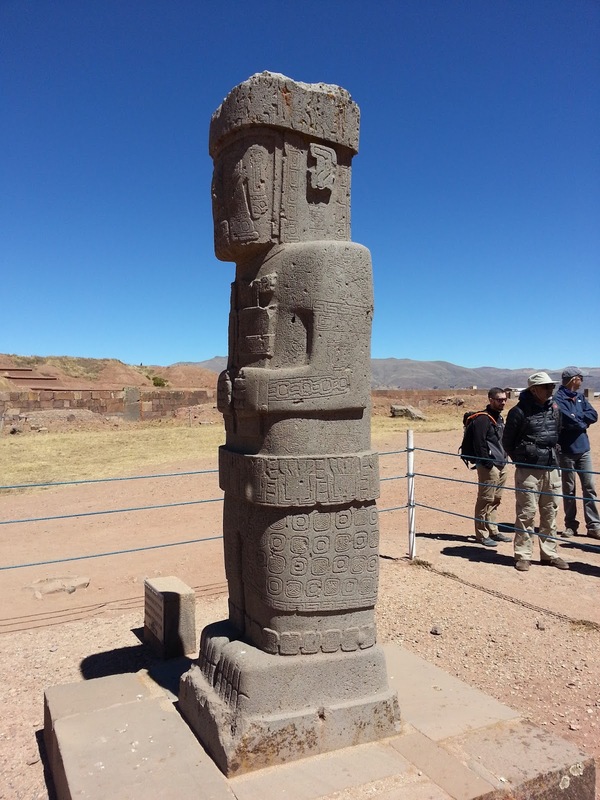 Ponce Stela in the Tiwanaku Kalasasaya temple, showing the intricate symbolism carved into the megalithic stone. Richard Riquelme and Erin-Leigh Hardy. After our explorations, we just enjoy a casual lunch at the parking area with fruits of the season and local bread specialties. We return to Laz Paz after lunch to get ready and pack for our next adventure at the Condoriri Valley, where our climbing objectives begin the day after tomorrow. Everyone is doing great, but starting to get the itches to start climbing soon. OK everyone that's all for now. Please stay tune for more coming soon. Until then, this is Richard Riquelme signing of from La Paz Bolivia!